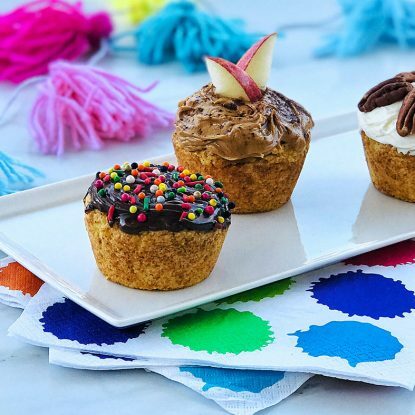 Can we talk cute breakfast ideas for a minute? 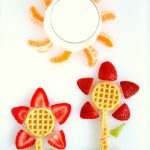 I love how easy it is to make this fruit and waffle flower garden! 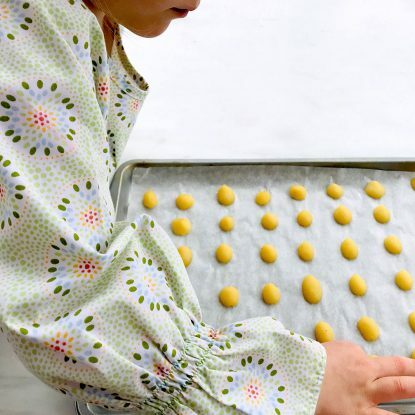 Your kids will like making AND eating them! My girls and I love making these fruit and waffle flower gardens. I usually don’t have too hard of a time convincing them to eat waffles, kiwi, strawberries, milk, or mandarins, but some other foods are a different story. When the going gets tough puling out, pulling out cutesy ideas never hurts–especially ones where they can get involved! Plus, all of these foods adds a wealth of nutrition to your child’s diet. Well, the waffles may not be a “superfood” per se but they’re a vehicle food to help your child eat good-for-them foods so they pass in my book. You can also look for whole grain waffles, or make your own using better-for-you ingredients. Serve the flower garden with a glass of milk for 8 grams of high quality protein and 9 essential nutrients including 3 of the 4 nutrients of concern lacking in a child’s diet (potassium, vitamin D and calcium). I also love using vitamin C and fiber-packed fruits like kiwis, strawberries, mandarin oranges to add color and nutrition to this yummy breakfast. 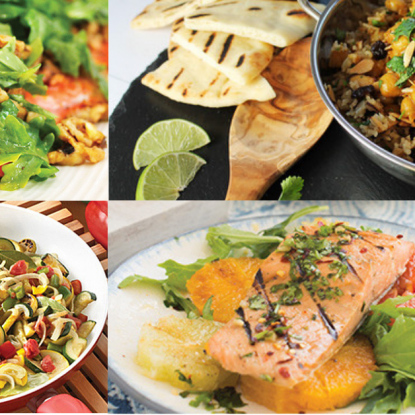 I would love to hear some of your favorite ways to get your kids to eat their fruits and veggies. I’m always looking for ideas! Love this “recipe”? Pin it so you can pull it out on a day when you need a fun treat or just a little bit of sunshine! Toast the frozen mini waffles according to the package. Slice strawberries and kiwi and peel a mandarin orange. 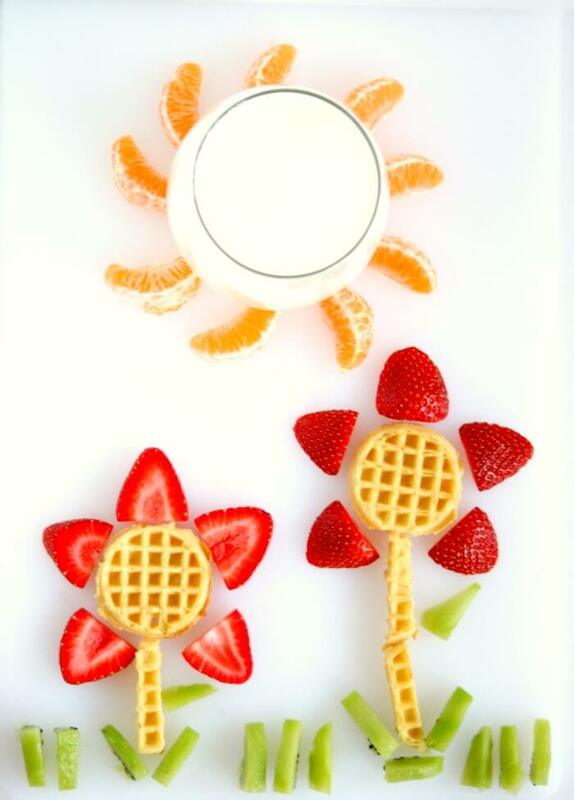 Cut one waffle into long strips for the flower stem and pour a glass of milk. Use the strawberries to create flower petals around the waffle and kiwi to create the stem. Place mandarin oranges around the milk to create the sun.